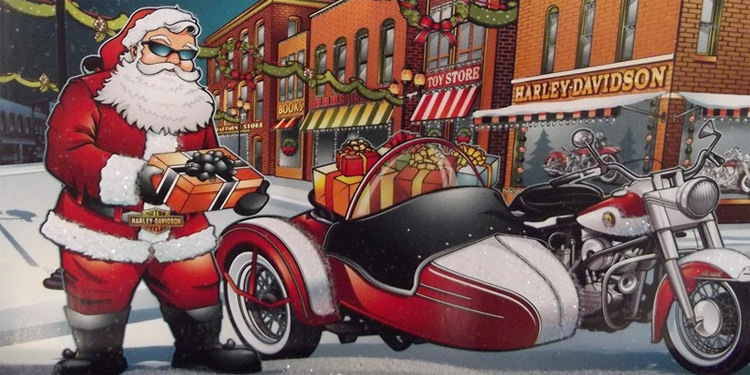 Sunday, December 11, the 13th annual David Mann Chopper Fest will be held in Ventura, CA. Lucky thirteen promises to be a great time filled with great bikes and fabulous art. David Mann was an artist and a biker who created images created iconic images of motorcyclists riding in the night. His iconic paintings are an inspiration to many. Come honor his legacy in Ventura, CA. There’ll be a bike show and much more. Perfect for the whole family. 8 AM-4 PM at the Ventura County Fairgrounds in Ventura, CA. A very special Motorcycle Art Exhibit, an All Brand Antique and Custom Motorcycle Show; Custom Bike Builder Displays featuring World Class Bike Builders; Hundreds of Motorcycle/Culture Vendors; a New and Used Motorcycle Parts Swap Meet; Live Rock and Blues Bands including the Shari Puorto Band, Food and Beer. General admission is $15, Military with ID $10, kids 12 & under are free. Note: No Colors, No Pets, No Outside Alcohol. The “If you build it they will come” All Brand Motorcycle Show will feature over 17 classes of motorcycles from Antique and Old School to Special Construction and Radical Design classes. Check out the Bike Show link for more details on all the classes and entering your motorcycle(s). If you have a bike that fits one of these classes please enter it, it’s only $40 and you get 1 admission and a David Mann Chopperfest event t-shirt (sponsored by INK FX). The trophy’s are amazing one of a kind pieces of art by Sonny Boy. It’s going to be another fun filled day for the whole family with all sorts of cool stuff on 2 wheels. We hope to see you there!